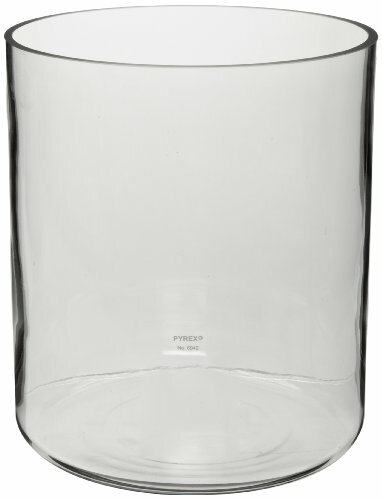 These 26.5 liter PYREX jars are mold-blown with substantial walls for mechanical strength. The open end of these jars is ground flat. These jars can also be used as animal jars. Do not use with heat, pressure, or vacuum applications. Material: Borosilicate Glass Code 7740. Capacity: 26.5L. Jar Style: Cylindrical. Top Style: Ground Flat. Feature: Reusable. Outer Diameter: 305mm (12 inches). Height: 457mm (18 inches). Corning#: 6942-27L.